In her new role, Regan will formulate and analyze dairy rations, serving as a partner to area dairy producers of all sizes. She also will conduct on-farm walk-throughs and operation audits to help producers identify ways to improve herd performance through nutrition and management. 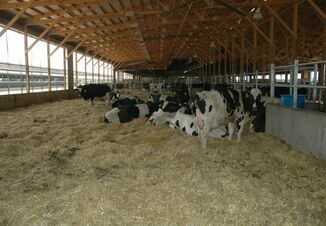 "Whether you have 20 cows or 2,000, animal health and performance are essential to profitability. Nutrition plays a significant role in this success," says Regan. "Like any business, it takes a strong team to sustain success. I enjoy being a part of dairy teams, getting out in the country and working with producers on their calf programs. Getting calves off to a good start allows everything else to fall into place for optimal profitability." Regan attended Iowa State University, studying animal health and nutrition. She worked at a large Iowa dairy for 11 years, managing calf and heifer operations for six years. After that, she went to work at a farmer-owned cooperative in Minnesota, where she worked as a dairy calf and heifer specialist, helping a broad range of dairy operations to provide nutrition expertise. The addition of a calf and heifer specialist in northeast and northcentral Iowa and southeast Minnesota is part of Purina Animal Nutrition's ongoing commitment to producers in the area. This summer, the company invested $2.4 million in its feed manufacturing facility in Mason City, Iowa. The facility serves farms and farmer-owned cooperatives within a 120-mile radius of Mason City. Renovations to the local feed manufacturing facility boosted production capacity and efficiency and increased the availability of locally-sourced feed. Included in the renovations were upgrades to the pelleting equipment for making feed for dairy calves. "We are pleased to continue investing in the Mason City area, and Krystal will play a fundamental role in this process," says Lanny Hillyard, area sales manager for Purina Animal Nutrition. 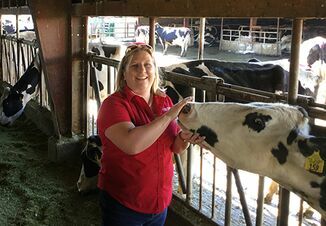 "Krystal's expertise and passion for calf and heifer management will be a great help to local dairy farmers who are working to increase calf growth and performance. With expert support from Krystal, along with increased ordering flexibility at our Mason City facility, dairy producers in Iowa and Minnesota can bring their herd nutrition to the next level." Are GMOs killing your children?